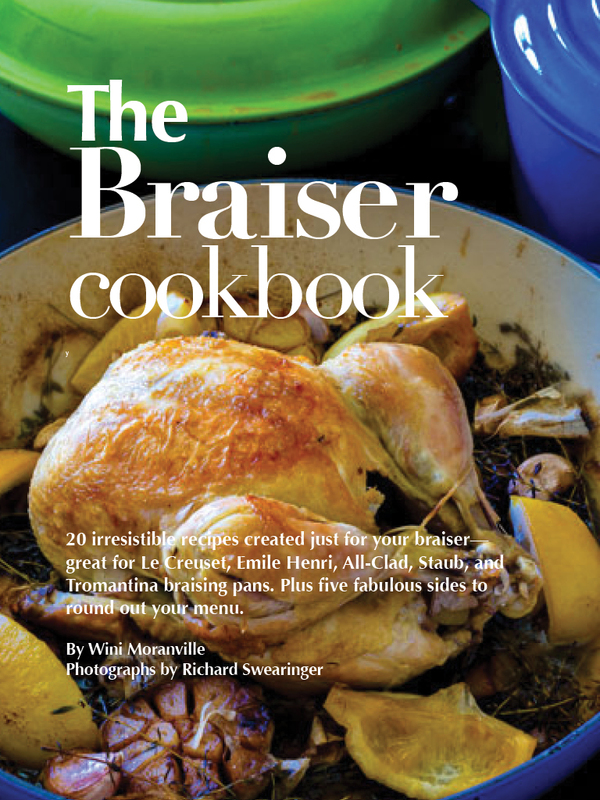 I love the Le Creuset Braiser so much that I wrote a book of recipes for it. But you can use other braisers, too. 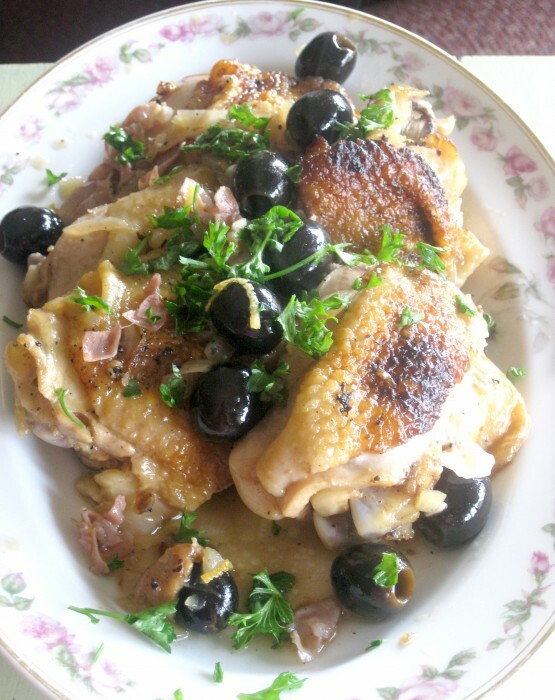 Wondering how to cook chicken in a braiser? Read on for general braiser cooking techniques, plus some great chicken recipes for a braising pan. These chicken recipes are for all kinds of braisers, including Le Creuset, Staub, All-Clad, Lodge, and others. As I’ve posted before, I’m a big fan of my Le Creuset Braiser. (If you don’t know what a braiser is, or why you might want to invest in one, let me tell you.) 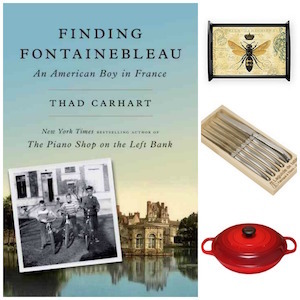 Of course, braising pans by All-Clad, Staub, Tromantina, Lodge, and other manufacturers also work for braising recipes. Here are the chicken recipes you’ll find in this e-book ($2.95). You’ll also find recipes for beef, pork, lamb, and salmon. You’ll also find some terrific side dishes that go with so many braises, including French Noodles with Fresh Herbs, Round Potatoes with Bacon and Parsley, Baked Cabbage with Bacon and Apples, Cheese Risotto, Braised Root Vegetables, and Farro Pilaf with Date and Walnuts. 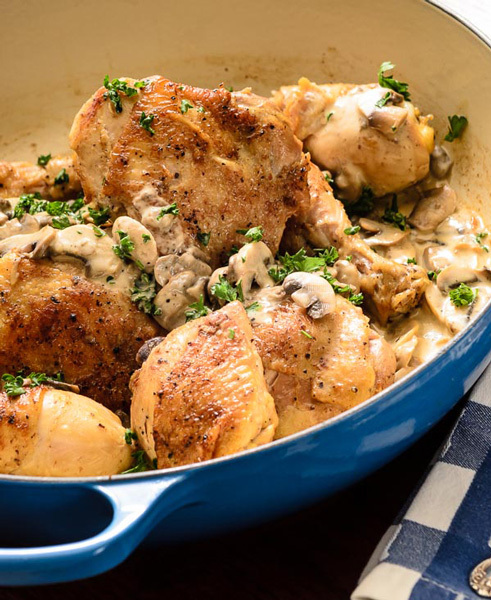 This book contains many of perfect-for-braising recipes, including these recipes for chicken. 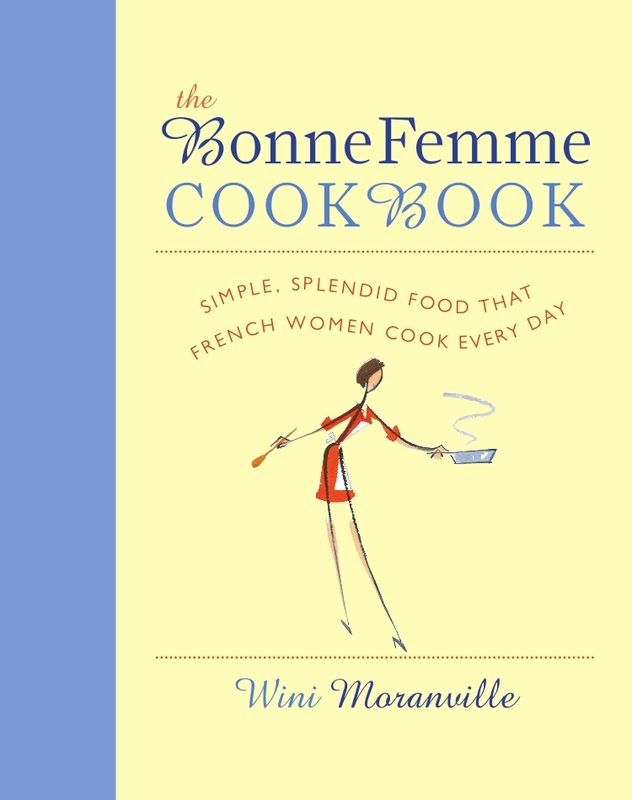 With over 250 recipes in the book, you’ll also find great beef, pork, and lamb recipes for your braiser, as well as dozens of recipes for serving a complete, true-to-France menu, including appetizers, soups and salads, side dishes, and desserts, plus great information on how to serve cheese the French way. PS: If you found this post helpful, please consider purchasing something from Amazon.com through one of the ads or links on this site. I’ll get a small commission from your purchase, and it won’t add to your costs whatsoever. I recently purchased the Braiser Coookbook and I have already made some of the recipes. Great book, I highly recommend it! So glad you’re enjoying it, Marc! I’m looking forward to getting my braiser out now that autumn is approaching. I just received a Le Creuset braiser and didn’t know what to cook in it. I found your website and purchased the braiser cookbook. I made the salmon dish tonight and it was amazing! And so easy! I’m looking forward to trying more recipes. Thanks! Melissa–thanks so much for your note. I wrote that cookbook for the very reason you state: I also got a Le Creuset Braiser a few years ago, and didn’t quite know what to do with it. 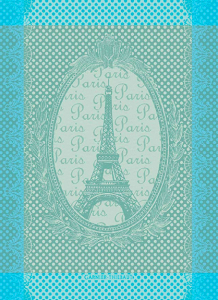 Then, I started developing recipes….and made it into a book. Thanks again. I’m glad you liked the salmon dish–I think people skip that one because it doesn’t have a photo! They shouldn’t–it’s one of my faves. Based on the quality of recipes in your Bonne Femme cookbook, I decided to head out to the Le Creuset outlet yesterday and we purchased a lovely blue 3.5 qt brasier. 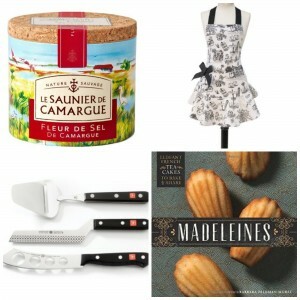 When I got home I got your braiser cookbook for my iPad and I am ready to try this! We have a small kitchen with no counter space so cooking elaborate meals is frustrating. Your recipes are so simple and delicious. I told my husband about some of your braiser recipes and this morning he asked if I was going to make something tonight. So I think I will be putting my Thomas Keller split pea soup on hold for later this week and heading out this morning to get a chicken. What a great comment to open first thing in the morning! You made my day. I hope you enjoy the braiser and braiser cooking as much as I do. ‘Tis the season, too! Hi there- I’m really excited about this book! I usually use a 5qt Dutch oven but have wanted a braided for years. I saw that Lodge has a deep skillet- sometimes called a chicken fryer- that comes in 3 and 5qt sizes. I wonder about whether that would be an economical and versatile option vs the $300 le creuset? The deep skillet might work, but you have to make sure it has a very tight lid! It’s the tight lid that keeps the moist, steamy heat from escaping, and that moist heat is what makes braising do its tenderizing magic! Speaking of, my Lodge braiser arrived from Amazon this morning. I’d been circling it for a while, but the price had spiked in the past few months. It finally dropped to $57, so I jumped on it. I have three sizes of Lodge’s enameled Dutch ovens and love them. 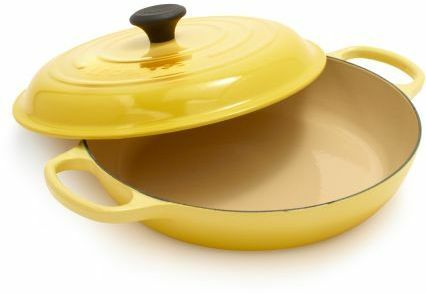 I’m sure this braiser will join my list of favorite pans. Now all I have to do is some grocery shopping after work! Happy braising! I’m sure you’ll love that Lodge braiser and use it more often than you ever thought. Thanks for the update.